At Suvoda, a core part of our culture is to give back and encourage our employees to find ways to give back to the communities in which they live and work. As part of our Suvoda Serves program, we also organize group service projects and initiatives based on community need and employee interest. 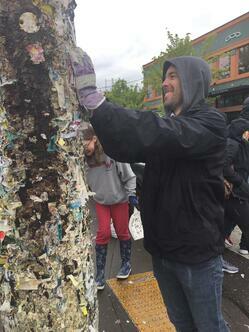 So we are very proud to share that this year to help celebrate Earth Day, our team in Portland, OR sponsored and participated in the annual Alberta Street Earth Day cleanup, Operation Clean Sweep. Alberta Street being one of the cross streets where our Portland office is located, our employees really wanted to get involved. On April 22, 2017, our team joined with over 150 others in the local community and had a lot of fun while making a real impact. From removing litter and old signage, to cleaning out street drains and removing stickers and fliers from trees and street lights, the impact was incredible. At the end of the day, more than 2985 pounds of litter were removed and more than 362 square feet of public space were mulched. 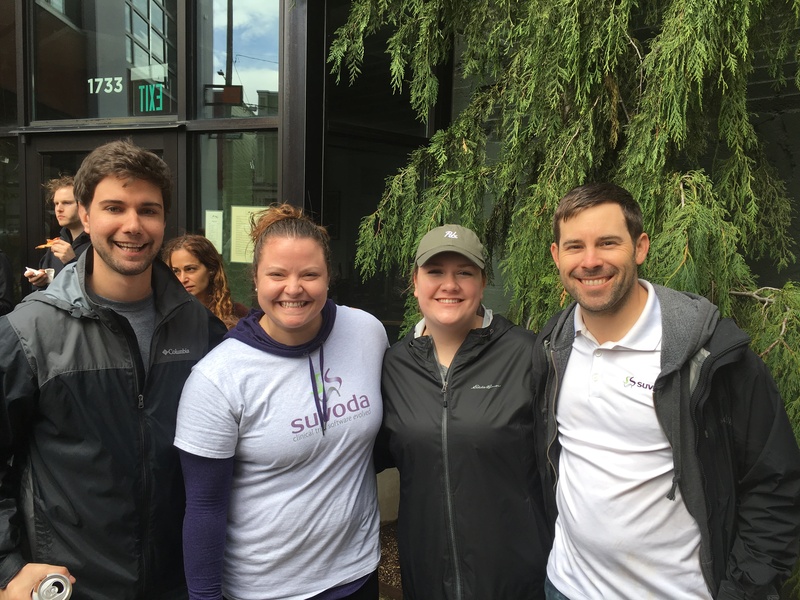 “It was nice that Suvoda sponsored and allowed us to take time out to help improve the actual street that our business is located on, Alberta Street. This is something that benefits everyone and allows us to give back and feel more connected our community,” shared Will Lewandowski, Project Manager at Suvoda. “The best part of doing things like this is how it really seems to bring our team closer together. We spend our days working hard and doing a lot of different things in our roles. But on a day like today, everyone comes together and leaves feeling good and know that they made a real impact,” added Julie Pierce, Director, Talent, Culture, & Employee Care at Suvoda. For more information on our Suvpoda Serves Programs and/or how you can join the Suvoda team, contact us info@suvoda.com or click on the button below.